To choose a battery, we need to start with the absolute basic electronic concepts. Electrical power comes in two forms. Direct current (DC) is power generated by a battery, always flowing in the same direction (positive -> negative). This is the type of current needed by most fish finders, so we’ll be focusing purely on that. However, for completeness’ sake: alternating current (AC) is what powers your home, generated by a power plant. The current alternates directions 50-60 times a second and, without getting into too much detail, is easier to transmit over long distances. When discussing electronics, there are four units to understand: voltage (volts), current (amperes), resistance (ohms), and power (watts). The easiest way to grasp these is to think of them in terms of plumbing. Voltage is like the water pressure, pushing water into the pipes. Current is similar to the rate of flow within the pipes (gallons per min., etc.). Resistance is like the size of the pipe itself. Power (watts) is a little harder to grasp. Think of it like water, coming out of a pipe, hitting a water wheel and causing it to spin. If you want the wheel to spin faster, you have two options. 1.) Increase the pressure coming out of the hose, hitting the wheel harder. Or, 2.) increase the quantity of water coming out of the house, spinning the wheel faster purely due to the extra water weight. Similarly, power is the product of the voltage and current (power = current X voltage). Head spinning yet? To sum it all up, voltage = force, current = rate, resistance = transmitter size, and power = capability of the voltage and current. There’s one final item to consider: battery capacity. When discussing smaller contexts, such as fish finders, this is usually expressed in “amp/hours” (Ah). Think of this as the cistern providing water to the hose. If the water is flowing at a specific rate, how many hours would the supply last? Similarly, if electrical current is being consumed, how long will the battery be able to supply power? We need a big enough “bucket”. Most fish finders need DC battery power. Typically, they require 12 volts (again, the amount of “pressure” exerted by the battery). 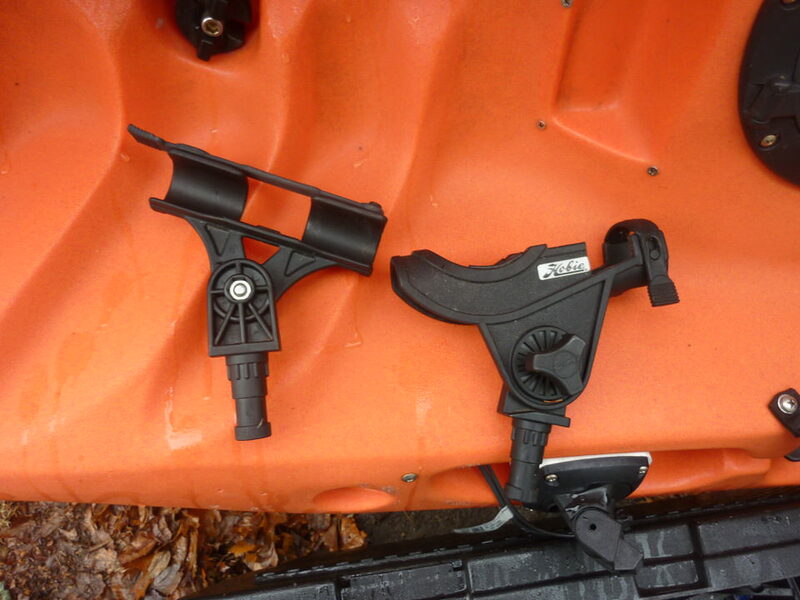 But, technically, many fish finders can safely use as low as 10 volts and as high as 20. However, since 12 volt batteries are the most common, I’d recommend just sticking to them. 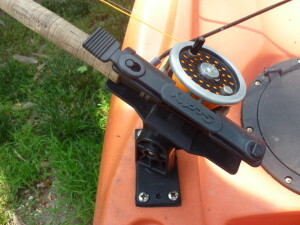 Most fish finder specifications will list the “current drain” in the manual or on the box. 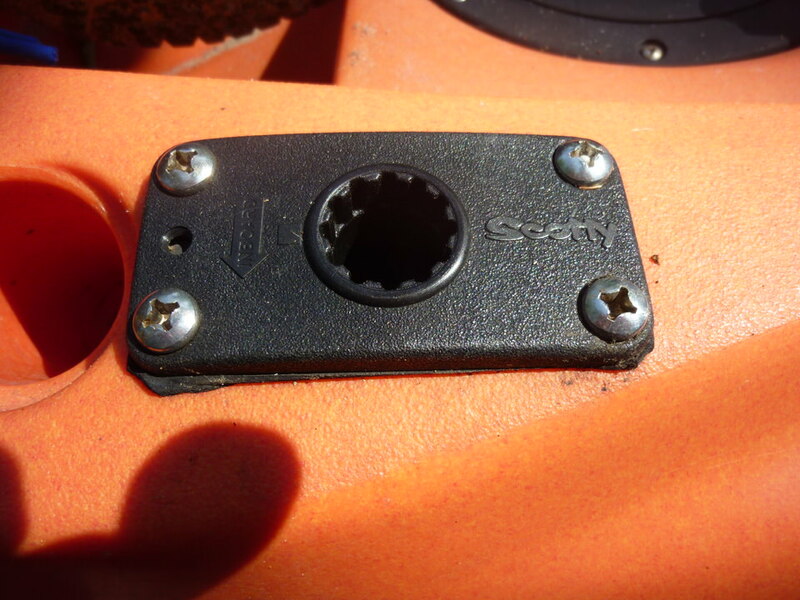 For instance, my Lowrance ELITE-4X HDI lists a current drain of “Typical: .75A”. In other words, “typically” it’ll pull .75 amps of current per hour. Two things to note here: 1.) Some companies will list this in milli-amps (mA). 1000mA = 1A. So in this example, it might be 750mA. 2.) Lowrance is listing the “typical” (average) pull, as opposed to the “peak”. Traditionally, most companies will use the latter. For instance, the greatest amount of consumption on the Lowrance might be closer to .8-1.0A. If you have the average available, great. If not, it’s best to assume the “peak” when calculating your needs. Worst case scenario, you’ll end up with a few extra hours of fishing time… Ok, enough jibber jabber. What exactly does that mean? Well, it all comes down to how long you want the fish finder to last per outing. Keep in mind that higher battery capacity always translates to more physical weight. Personally, I try to trim down as much as possible when I’m out, even if the battery weight seems relatively minimal — every bit helps. So for my purposes, assume 8 hours is enough. That means I would need a 6 amp/hour (Ah) battery (.75A X 8hr = 6Ah). Lead acid: No different than you car battery — acid, sealed-in. They’re inexpensive and easily recharged, but they’re also the heavier option. Rechargeables (lithium, NiMH, etc. ): Much lighter than lead acid, but also much more expensive. They can also be more complicated to recharge, frequently requiring a special adapter. Alkaline (AAA, AA, A, etc. 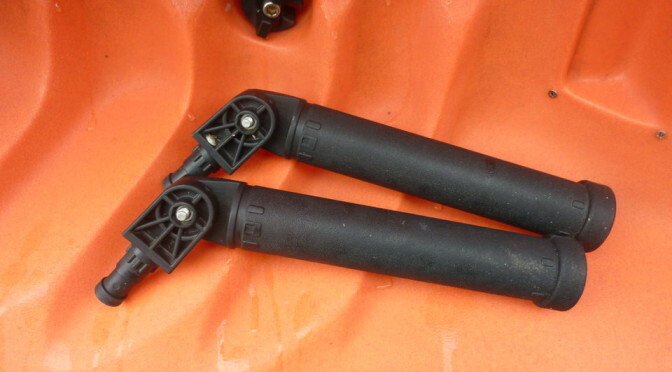 ): Technically, you can use multiple battery cells at once in order to get the power your fish finder needs. However, I’d recommend skipping these. For example, most alkaline cells only produce 1.5V, so you’d need 8 of them to get the required 12V. Also, your amp/hours will take a huge hit — those 8 AAs will only give you about 2Ah. Further, these can’t be recharged and end up in the trash. I almost always go with the lead acid. Even though it’s heavier, its small cost and ease-of-use trump the alternatives. 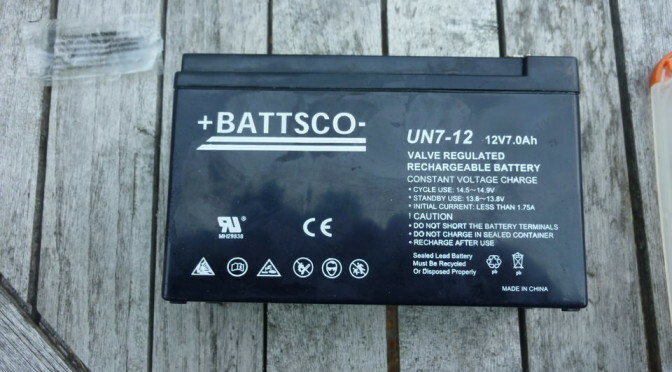 Many stores (Bass Pro, Cabelas, Gander Mountain) have 12V lead acid batteries specifically marketed for fish finders or other outdoor applications. But, unless you find them on sale, they’re overpriced. I currently use a simple 8Ah unit I found on sale at Frye’s Electronics for $20. But you can find several on Amazon for even less. Don’t get anything fancy — run-of-the-mill units will suit you perfectly. 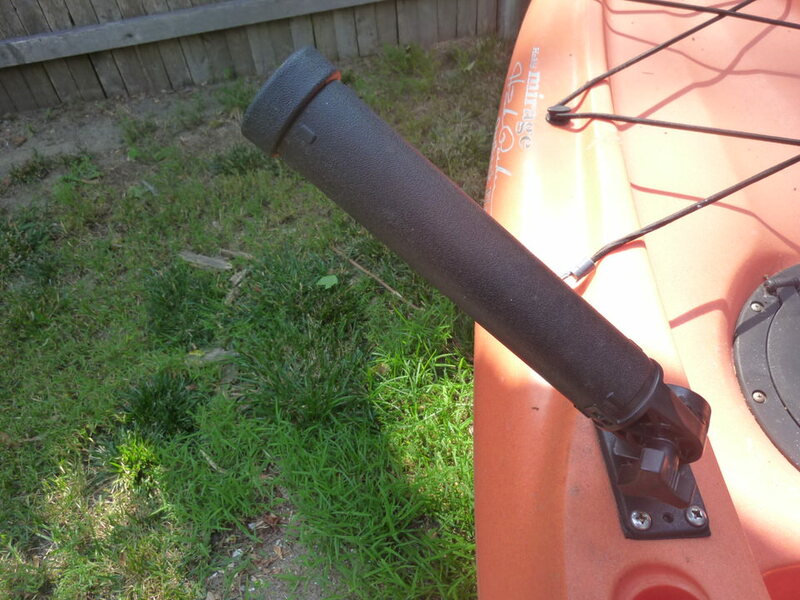 I’m a big fan of reducing the amount of drilled holes on my kayak. When I was looking for a transducer arm, I was glad to see a bunch of them that simply used gear track mounts. In particular, Mad Frog Gear’s “Liberator” platform stuck out. It’s a really simple way to mount the arm, the fish finder, or both. Since my Native Slayer already had an electronics bay, I simply needed the arm itself. The Micro Liberator fit that bill. It includes a mounting plate for the gear track, the transducer arm, and necessary hardware. Multiple pivot points. Allows multiple storage locations when the fish finder is not in use. Easy installation (if you happen to use the whole arm length — see below). One of the cheapest options. Low profile. Could mount right next to your seat, without nailing it while paddling. Weak plastic. See one of the photos for a close-up of the bubbles from sub-par injection molding. Although this doesn’t need to be over-engineered, the arm is far more flexible than it probably should be. Non-adjustable arm length. If you need it to be shorter, you have to shorten the length by cutting it. Non-locking pivot points. Although getting caught in weeds is inherent with any arm, this one is particularly annoying. Each pivot point is simply a bolt + nut + washer, so weeds can easily move it. Even fast-paced paddling or current can swing it out a bit. Easy enough to deal with if it’s mounted close, but I tend to keep things out of the way, so it’s annoying to have to get up and adjust it. No integrated wire management. Have to zip tie the transducer wire to the arm. 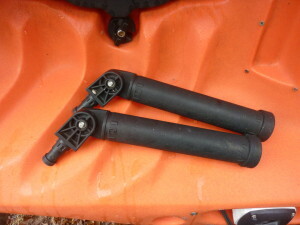 The RAM transducer arm is a lot stiffer, and the pivot point locks down with a nut. Overall, the build quality is far superior and will stand up to worse abuse. I’ve talked to numerous owners and haven’t heard a single complaint. 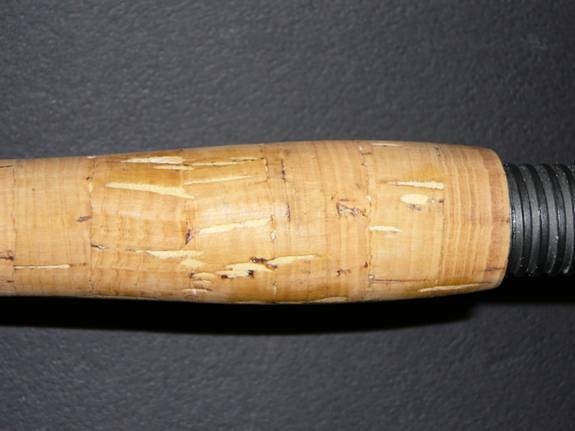 Cork grips are wonderful on a new fishing rod. However after a couple months of use you begin to notice all the little craters and holes that magically appear one day in your fishing rod grip. Time to do some cork grip maintenance. 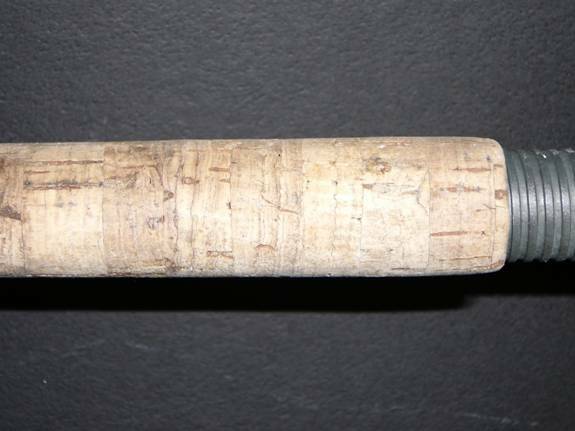 Most rod manufacturers use inexpensive cork for the cork handles and usually end up filling the holes and craters with some kind of filler. So what do we do to refurbish the grips? 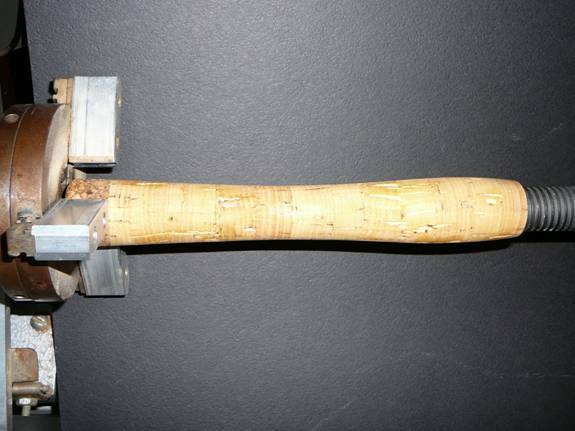 Here’s a picture of a grip of an old fishing rod grip. It doesn’t have too many holes and craters on it but you’ll notice it’s very direct. First thing you need to do is to clean the grip. Get yourself some Dawn and an old toothbrush. Clean it with warm water and use the toothbrush to get rid of all the fish slime that’s been caked on there. Once you have it clean, let it completely dry. This would be a good time to take a trip to your local hardware store. At your local hardware store pick up some wood filler and fine sandpaper. I’m using MinWax Wood Filler and a 220 grit sand paper and a bottle of Tru-Oil Gun Stock Finish. You guys with guns know what I’m talking about. You can also use a cork sealer made by U40, which is available online. If you have access to cork, you can use cork dusk and Elmers glue to create your own filler. Its just easier to buy the MinWax Wood Filler in my opinion. Take the fishing rod handle and clean out the pits/hole/craters on the grip by using a bamboo skewer (or something with a point). Once that’s accomplished, start filling in the pits/holes/craters with the MinWax Wood Filler with your fingers. Don’t fill it flush because the filler does shrink a little when it dries. Put the rod aside and let the filler dry. Usually an hour or so. Once the filler is dry, take your sand paper and sand the handle. Start with the 220 grit sand paper or so grit and if you want it smoother use a higher grit paper. After sanding, wipe the grip down with a moist paper towel and let it dry. The last step in the process is to apply the Tru-Oil. Tru-Oil will help seal the cork handle and actually extend the life of the cork. 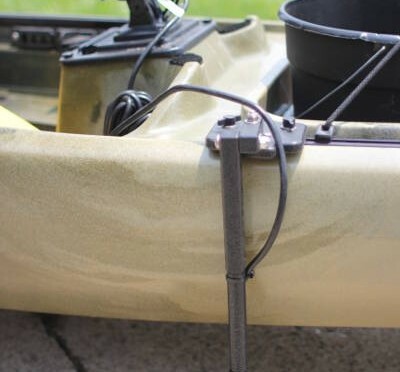 Next time you buy a new rod, apply the Tru-Oil (or Cork Sealer) before you even begin using the rod. 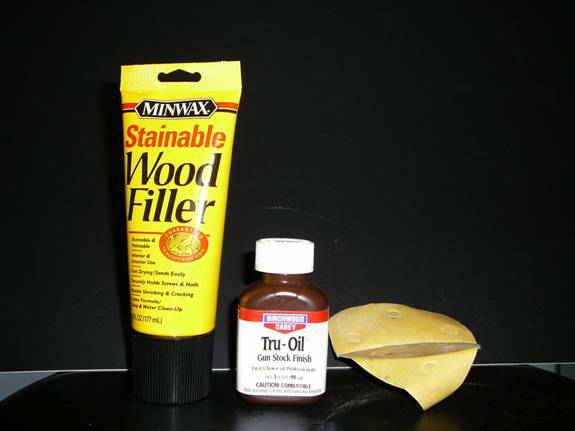 Apply the Tru-Oil with a paper towel or an old cloth. Two coats will be all you need. This is what you get when you’re finished…. Viola!! 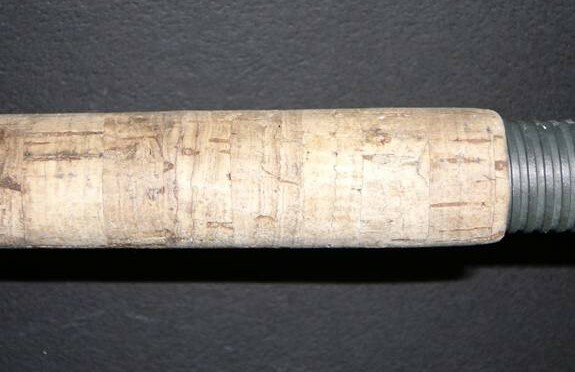 New Cork Fishing grip..